I originally got a parrot because I thought it would help me pick up chicks. And I don't mean the poultry kind. Picked out this parrot at a bird store that was big, blue, and loud. The loudness I didn't learn about until it was too late. But that was the least of my problems. Turns out the parrot picked me. 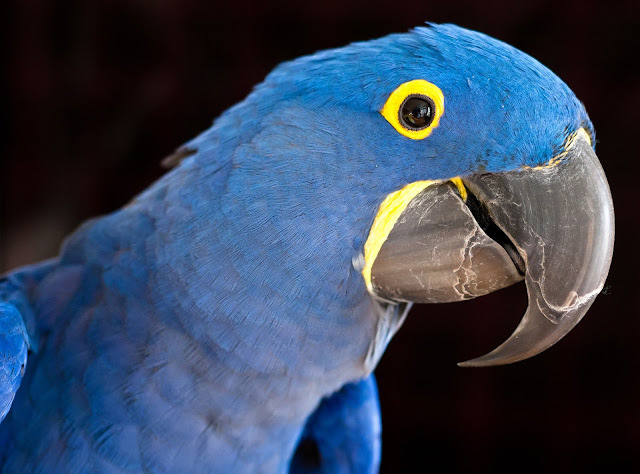 Not only was the parrot big, blue, and loud. The parrot was a witch. Not a figurative or allegorical witch. A literal witch. A witch of the spell casting kind. The abracadabra kind. Once I entered the bird store the parrot cast a spell over me. The kind of spell that caused me to shell out a lot of money for a big, blue, loud witch. The kind of witch that didn't abide with female competition. The kind of witch that turned out to be my guardian angel and an albatross around my neck at the same time. Opening paragraph of the Great American Novel that I've been trying to write since I was about 21 years old, sometime in the last century. It's time to pick it up again. . .